Hello Friends Do you know how to become a successful blogger ? What kind of specialty should be in you so that you can easily leave your competitors behind and become a great Blogger. I know this thing well that you have always had the desire to become a better blogger for all bloggers. But perhaps you could not get the right guidance in the right time so that you could not become as famous blogger as you wanted to be. But here you are not sad or miserable. Because there is no good stuff every day everybody has a good and bad day and maybe there is going to be something very good in your life then you have to face all these difficulties. Leave all these things and come to your main point of view how to become a better blogger. So let's start without getting lost some time. How to become a successful blogger? According to me those who see Blogging from a work perspective can never become a successful blogger. Because he would also like to write an article for his blog he would not like to give up his 100% blogging. Now the question arises that cone can then become a better blogger. It is very easy to answer that the person who does blogging with his entire passion which seems to fulfill his entire power and time in the same work which instead of making excuses thinks of solving the difficulties. Before making your blogging carrier think it well and understand that it is not the work of a person with a weak motive for that it is very important that you also become obsessed in it. Because the hard work of two hours is not destined even without hard work and if you have to become a successful blogger and earn both name and praise in this field then you have to do something which is afraid of thinking of others. 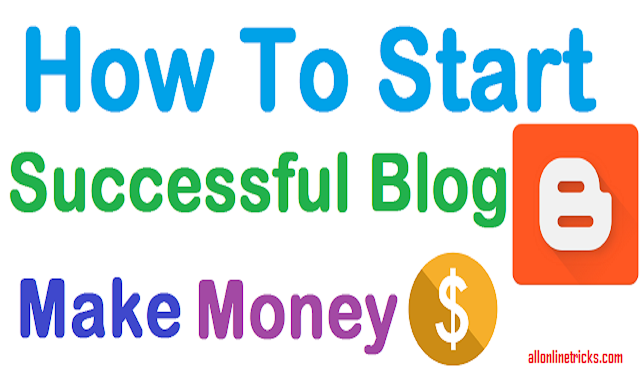 But there is no need to get a tension because as I am going to tell you some tips that will help you to become a successful blogger I can say with full claims in this. Here are some tips I share with you which will prove to be helpful in making you a better blogger later on. Hopefully you will use these tips in your blogs. Well quite a lot of new bloggers are concerned about choosing the right topic for Blog. Some people say that you choose a topic or niche which people prefer and whose CPC is high or say so much which can be more income. And others say that do not go behind the first money and recognize your passion first which you can enjoy yourself pay more attention to the good content and while doing so you can make money from it at the same time. In such a situation you have to think on yourself that it is about deciding on which subject you would like to write in your blog. Whenever you are writing an unique post give some opinion in it what is your opinion about it which separates it from others. For example if you are posting a technical post then write down that your average readers can also understand that which is not familiar with all these things. Think about why visitor keeps coming to your blog again where else do you keep writing in the same topic? That's because the style of your writing is unique style that makes you different from others. Just this thing you have to understand and put it into practice. The most important thing for any blog is that how you recognize readers. If you know about your readers' motivation passion and need then you will not have any problem writing new articles. It has been found that the readers come to your blog to learn something new or to solve a problem and if they get that thing then they will come here again and again. All you have to do is help them according to their needs. You have to think in their place how you will be more satisfied with their work. You will be expert in any one subject which you can understand in a great way. But if you repeatedly write only that thing then your readers will also become bored. For this you will have to come out of your comfort zone you will have to learn something new you will have to understand the subject with another complex area and your visitors will have to provide even more interesting facts that you can go to learn something new will respect. The most important thing is to create your reputation. You are the first to trust your readers. You have to show them how much you are passionate about something. Here it can test your passion and credibility. Give your readers the opportunity to recognize your ability. Do not ever think that your readers do not have intellect you may have to think of it for me. The visitors who come to you again and again are aware that the choice of your subject is driven by the style of writing and in such case if they are not looking for them then they can stop coming. Consistent or continuity is very important for any successful blogger. You will have to make a routine how many regulars you can write new posts in your blog with how much continuity you can do this work. Do not worry about how much profit will be before and pay more attention to your work money will come along with it over time. It is also very necessary to reply to post comments in your blog which will make your visitor more trustworthy to you. They will feel that you respect their questions and answer their time and get the answers. Answer as many possible comments as possible. Keep your blog post as interactive as possible so that your post becomes more popular. Such interaction will also keep your readers and you have better bonding which is good for you. Try to include your readers in your blog ask them to give your opinion comment or participate in any survey. Most new bloggers make these mistakes that after writing an article they do not read it another time and they make a mistake in publishing quickly which is not exactly right because in such a situation there are many Grammatical and Spelling mistakes. That is that can spoil the mood of your readers. Therefore I request you to do a Proofread after writing a new post or speak to your friend again to read it so that your mistake will be greatly reduced. You can understand this very well that it is not easy to succeed in this field but it is not impossible. Overnight nobody has got success in this the success of their hours behind those who have succeeded today is the result of their hours. So if you want to be a successful blogger then you will have to work hard and have some patience and can say with the claim that you will surely get success. 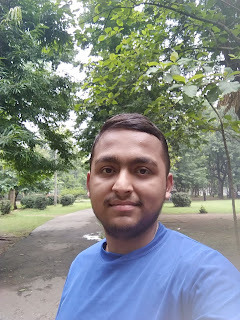 I sincerely hope that I gave you full information about how to become a successful blogger in India and hope you guys have understood about how to become a better blogger. I am convinced of all the readers that you too share this information with your neighbors relatives your friends so that we will be aware of our interactions and will all benefit from it. I need people's support from you so that I can bring you even more new information. THANKS FOR READING THIS POST...! I'm Tushar Kumar Technology Student, sharing Knowledge in All Online Tricks And Tips , Latest Technology Hacks, Make Money Online, Latest Tech Tricks, Tech Review, Make Money Online,Blogging, SEO, Create Blog Website and Here I will also share the Information related to Internet.